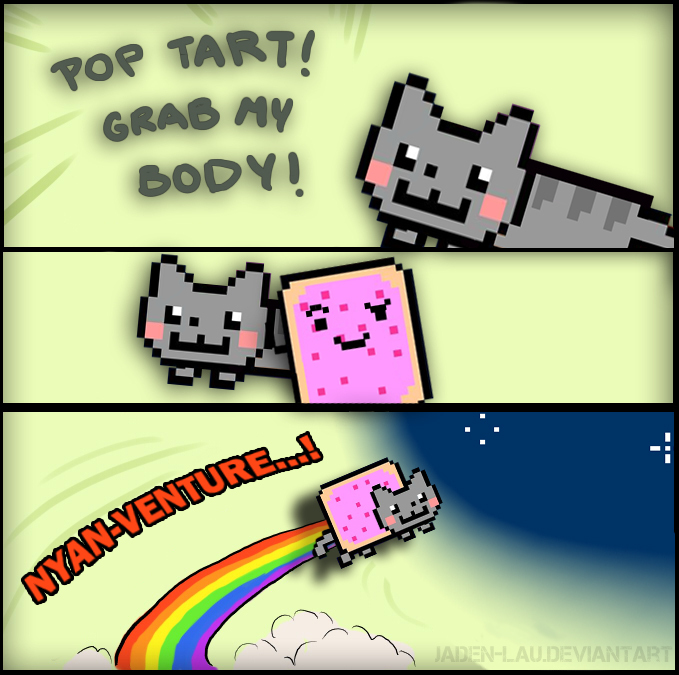 This Nyan Cat fan art might contain ishara, bango, maandishi, ubao, matini, and ubao wa chokaa. Hey! So that's how Nyan Cat stucks into the poptart!